We're going to start out strong with a bona fide classic—a 1980 Yamaha XS1100. This mean green machine is a perfect time capsule of late-70s/early-80s bikes with its square headlight, cast wheels, and handsome Yamaha UJM looks. 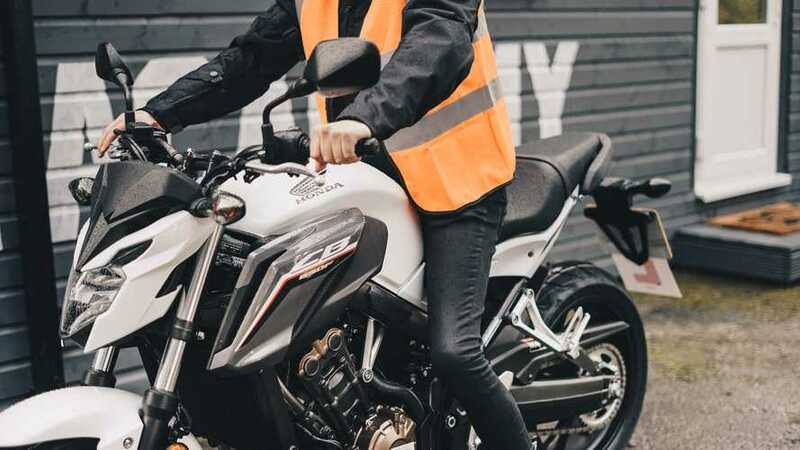 The 1100cc inline four is a fantastic engine, but like many high-powered bikes of the time, the engine's technology far outstrips the bike's frame, suspension, and braking technology. Straight talk, the XS1100 is crazy fast in a straight line but handles like a puppy on linoleum, if you get my drift. Vague handling aside, this is a fantastic bike and a great way to get into classic Japanese iron. 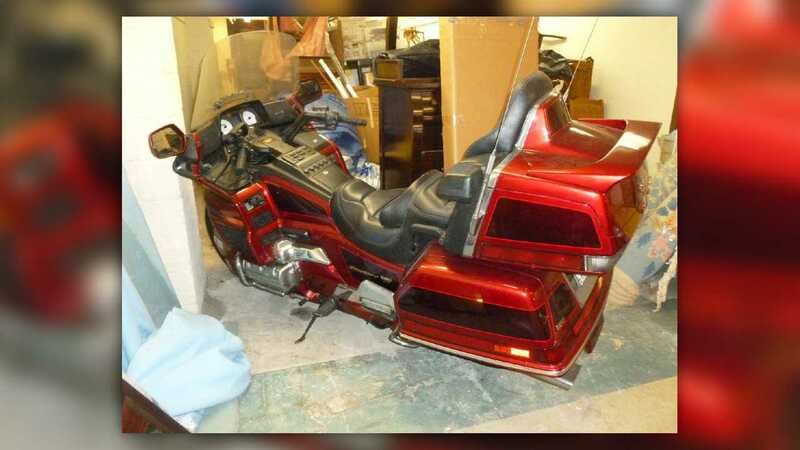 It's also a steal at $2,500, especially with the add-on bags, windscreen, and crash bars. This poor thing, man. 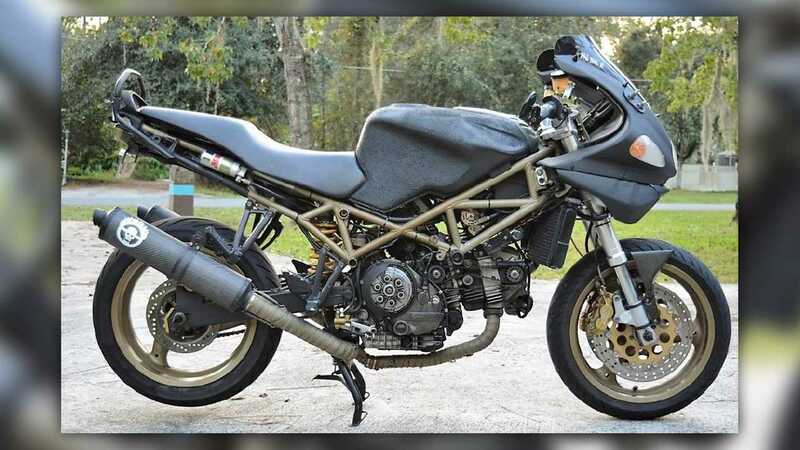 The seller/builder of this poor Ducati claims that it's a 1998 ST 2 customized to look like a "Mad Max" bike. To me it just looks like a hacked up Duc with a bedliner paint job and some stick-on Immortan Joe badges. Under all the faux apocalypse gubbins are the bones of a plucky, late-90s Ducati sport tourer and that counts for something at least. 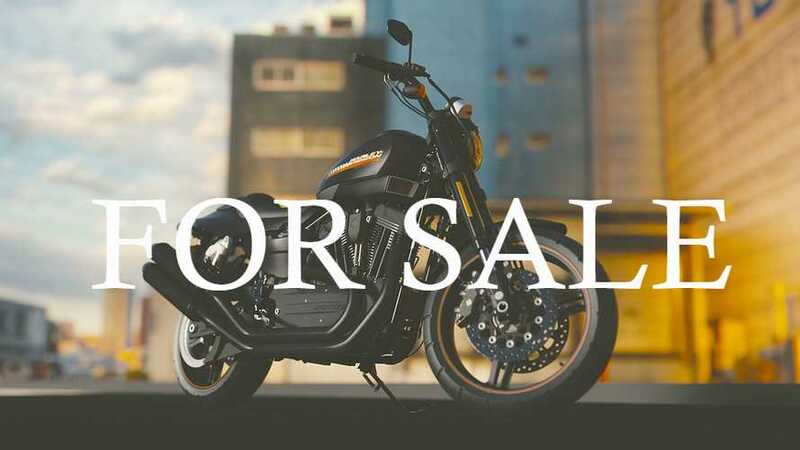 I'll give the seller this, he put a lot of work into this bike, and if nothing else it's successful in that it fulfills his vision and made him happy. Other than that, though? Eh. I put this one on the list in the hopes that someone would shell out the $2,500 the seller's asking and maybe return it to its former Italian sport touring glory. Either that or ride it into Valhalla. 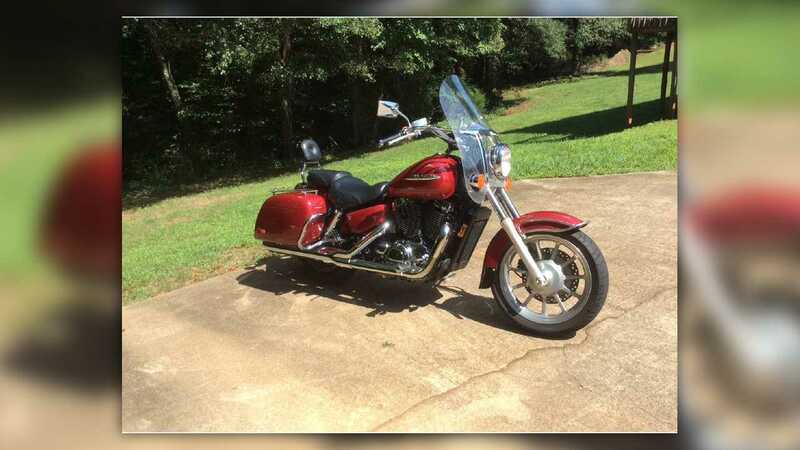 Cheap used metric cruisers are a dime a dozen out there on the internet, so it takes something special like this lightly customized 1998 Honda Shadow Ace 1100 to really catch our eye. Why this bike? Well, a few reasons. 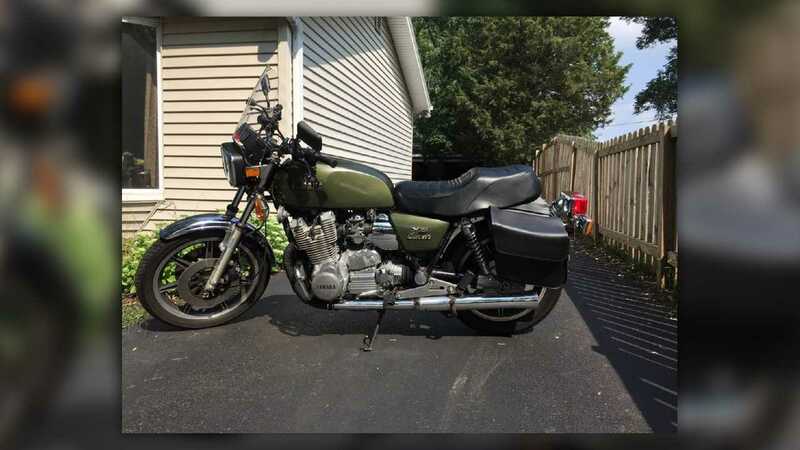 Relatively low miles (just 41,000 on the clock), good features, some nice extras (a fancy pants Corbin saddle and a whole extra two-into-two exhaust system), and the fact that it's an 1100 were the primary items of interest. Plus, you know, it's a Honda. On top of all that, the bike features "beautiful hand-painted pinstriping". Of course, this being the internet, there aren't any pictures of said pinstriping so we'll just have to take the seller's word for it. It's only $2,500 though, so even if you don't like the pinstriping you can use your leftover tax refund on some new paint. A list of good, affordable used bikes just wouldn't be complete without at least one Gold Wing. This one, a 1999 Honda 50th Anniversary Edition, is currently looking for a good home after sitting unridden for years. How many years? The listing is vague on that point, but, hey, it's a Honda! Probably just needs a tune up and it'll be good to go. This Wing is loaded down with what looks like every option Honda offered at the time, and has just shy of 45,000 miles on it. That's barely broken in! If you're looking for a touring bike in the Alexandria, Virginia, area and have $2,500 to spend, you should grab this old Wing before it's gone. Looking for a fast, capable, sharp-looking sportbike for not a lot of money? 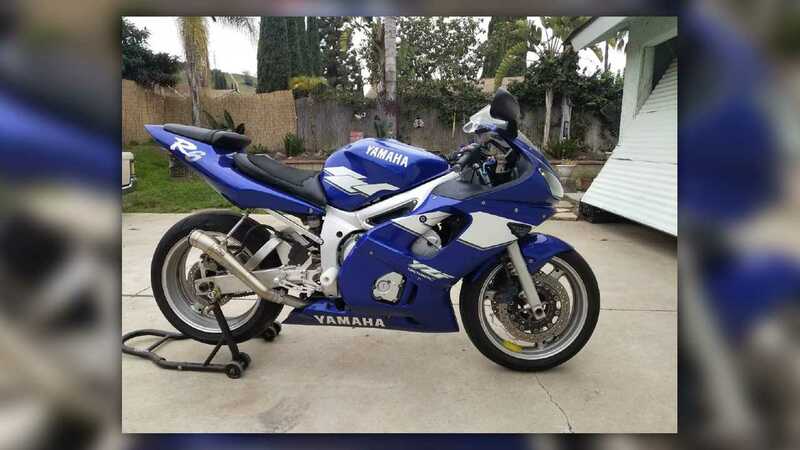 Look no further than this 1999 Yamaha FZR600. An excellent example of the late-90s/early-aughts 600 supersport class, this was the final generation of Yamaha's FZR bikes before the line was replaced by the YZF series. 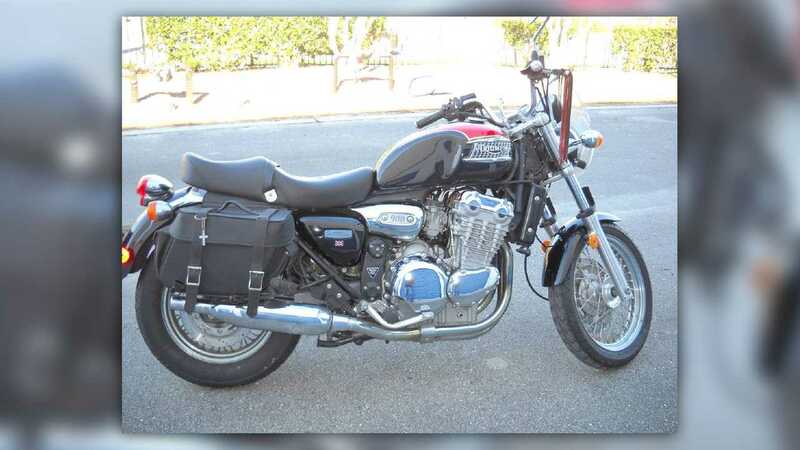 This particular bike is located in Southern California, and is a pretty good deal at just $2,500. It has some aftermarket goodies bolted on, and the mileage isn't crazy high. If you're looking for a good place to enter the sportbike market, this is a pretty good choice. 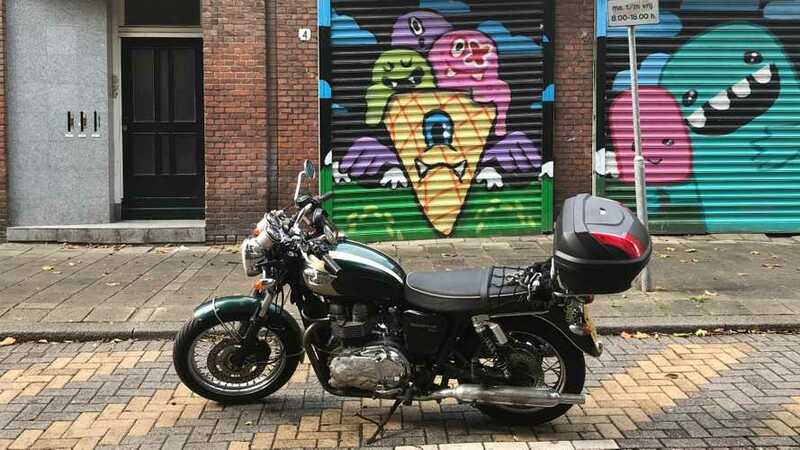 This 2000 Triumph Adventurer 900 is quite a catch. Located in Jacksonville, Florida, it features Triumph's stout late-90s/early-aughts 885cc triple mated to a five-speed trans. Painted red and black with about a square mile of chrome, it's a fantastic example of mid-era Hinckley Triumphs. This particular one sports a set of aftermarket saddlebags, brake and clutch lever tassels, and a big old windshield that makes it and ersatz light touring bike. For just $2,200 Yankee dollars, it's a great, affordable way to get yourself some British iron. Looking to get dirty this summer? 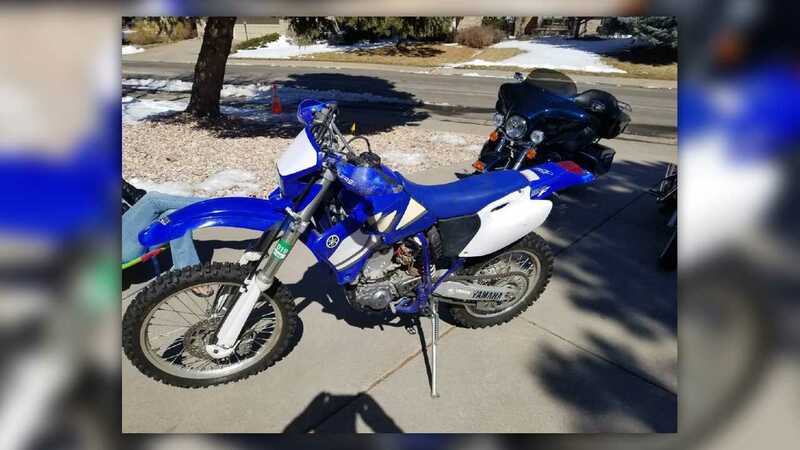 Look no further than this 2000 Yamaha WR400F out of Centennial, Colorado. Priced ridiculously low at just $600, this old Yamaha is just the thing for bombing around trails or tearing through the forest. This bike has definitely been around the block, and the numerous scuffs show that it's been well used and well loved in its 19 years, but for six Benjamins you really can't go wrong with this one. 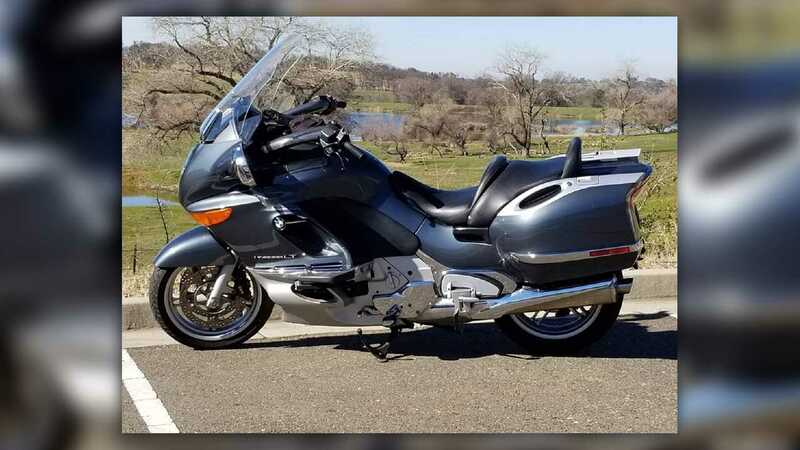 This big Bavarian bagger was once the pride of BMW's touring lineup. Built for speed and comfort, this 2003 K 1200 LT is packed to the gunwales with fancy doodads and high-end BMW running gear. Located in beautiful Pioneer, California, this bike is priced to move at just $2,600. The list of options and add-ons is as long as your arm, so you'll need to check out the listing to see everything you get for your money. Trust me, though, this one's worth it. Oh, and if you're interested, Pioneer is located a stone's throw from Tahoe, Eldorado, Stanislaus, Yosemite, and Plumas National Forests. That means you could turn a trip to pick up a new bike into a full-blown motorcycle tour pretty easy. You know who doesn't like Sportsters? Big jerks. You know who likes Sportsters? Stylish, refined riders with unimpeachable character and excellent taste in motorcycles. 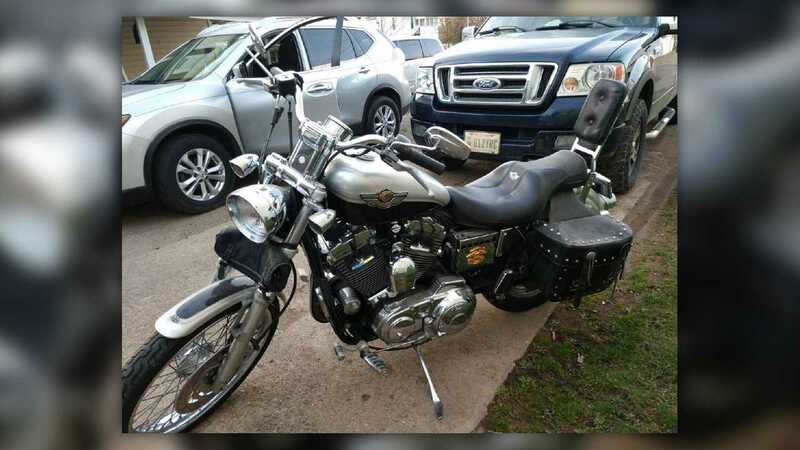 If you're one of the latter, and if you're reading this you must be, check out this 2003 Sportster 1200 is a 100th Anniversary model edition. Still in its silver and black 100th Anniversary livery, it seems to have all the requisite 2003 Harley Big Book accessories—foot pegs, battery cover, mirrors, saddle, bags, sissy bar, trim rings on the headlight and turn signals, etc.—and is in pretty good condition. This Sportster is located in a charming little town called Killbuck, Ohio, not too far from my home town. 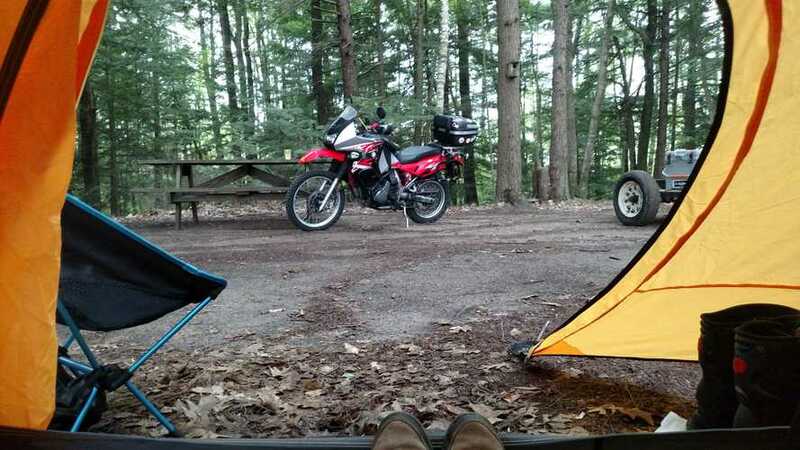 For $2,500 you could buy this on a Friday evening then spend the weekend exploring the gorgeous Killbuck Wetlands and nearby Mohican State Park, both of which have some fantastic riding roads. 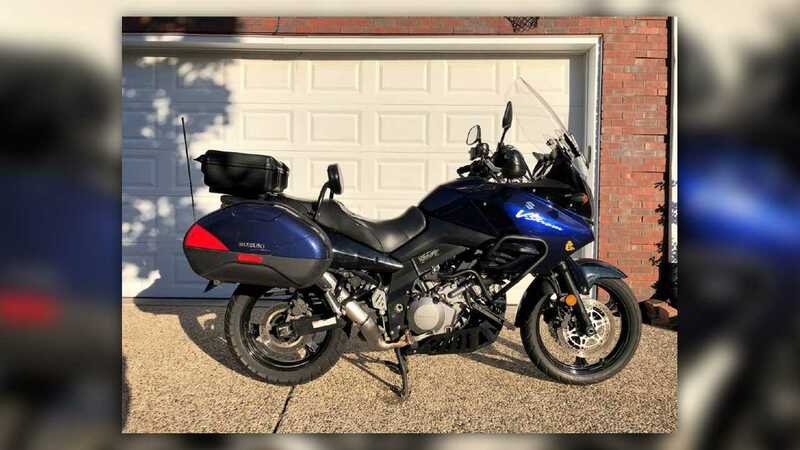 This tricked out 2005 Suzuki V-Strom 1000 can be yours for a cool $2,800. 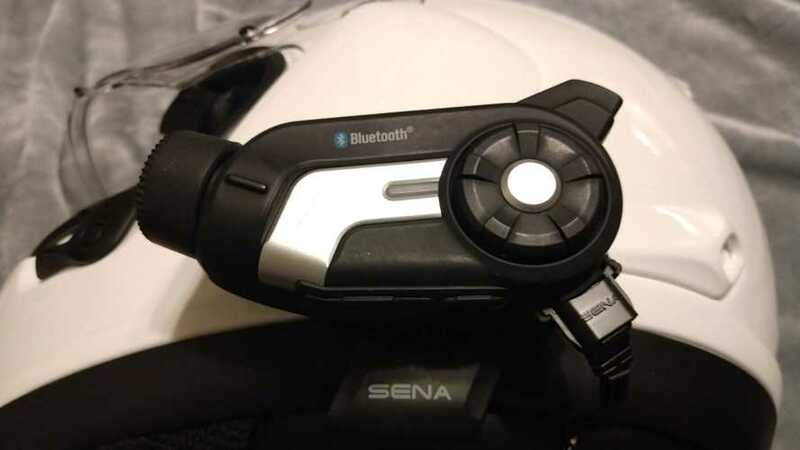 It's loaded down with just about every cool touring accessory you can stuff into a V-Strom, including a CB Radio that the owner seems a touch embarrassed about. This particular bike seems to be outfitted for both road and some light off-road duties if the skid plate and bark busters are any indication. It's located in the Bluegrass State, so if you're down that way you should definitely go check it out. It's finally Spring! It's also tax season for those of us here in the Colonies, which means that many of us will be getting our annual tax return check from The Man soon. According to The Motley Fool, the average American's 2019 tax refund is $2,833. 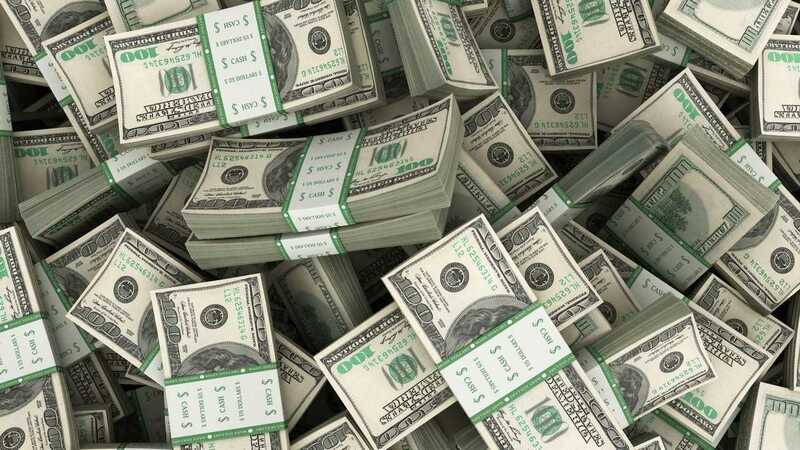 That's as of April 5, 2019, so that average my grow or shrink as the IRS processes more refunds, but a refund anywhere near $3,000 is more than a lot of us expected after last year's contentious tax cuts. So, what are you going to do with your refund? Sure you could spend it on some new appliances or a down payment for a new car or stick it into savings. Why would you do that when there are motorcycles to buy, though? Having a little extra folding money after filing your taxes is a perfect excuse for buying a new bike. "But RideApart," you say, "What kind of bike can I get for $2,833?" We're glad you asked! Turns out Cycle Trader is lousy with sub-$3,000 bikes right now. Lots of them are metric cruisers, of course, but there's a broad enough cross-section to appeal to any rider's taste. To illustrate this point, we've found five of the coolest—according to our very strict and scientific "bikes that catch Jason's eye" coolness test—bikes currently on Cycle Trader that you can buy right now for the cost of your tax refund.